The San Diego County Department of the Medical Examiner released 22 years worth of death record data Tuesday in a searchable public internet portal. The records include accidental deaths, homicides, suicides, in-custody deaths and sudden natural deaths, all of which were reported to the medical examiner’s office between 1997 and the third quarter of 2018. According to the county, the portal makes more than 59,000 death records publicly available. The data portal can be accessed here. Residents can also access yearly reports from the medical examiner dating back to 2000 at the same URL. 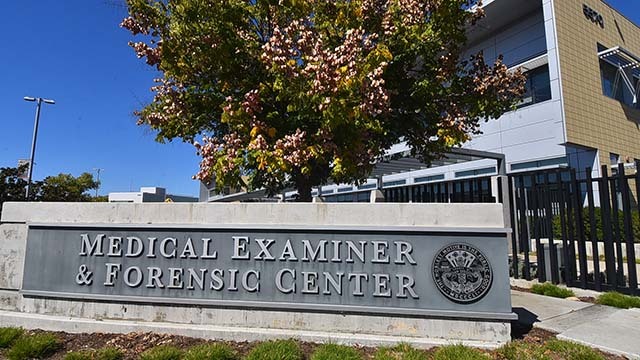 The medical examiner’s office receives reports for roughly 40 percent of all of the county’s deaths, but does not examine all of them, according to the county. The data sets protect certain facts of a dead person’s identity such as their name, date of birth or specific address. County Supervisor Nathan Fletcher praised the medical examiner’s data release for improving government transparency and accountability. “These gradual shifts, whether it is hosting an evening budget hearing or using technology to increase transparency and promote a more open government, are the type of change that help builds trust between the county, our residents and journalists,” Fletcher said.